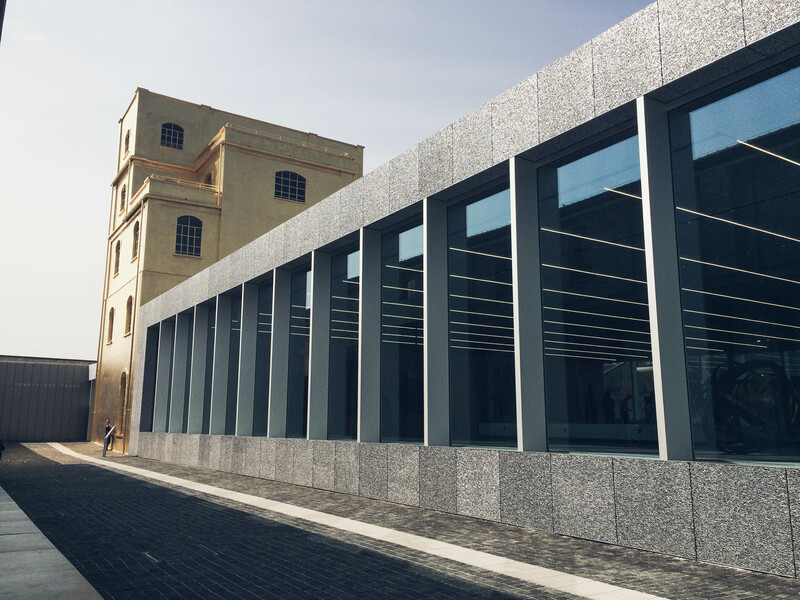 If you ever find yourself in Milan you must definitely visit the museum of modern art Fondazione Prada! The place has a few different buildings that all host various exhibitions and overall looks super cool. I loved the contrast between the golden tower and the glassy building next to it! Unfortunately, while I was there half of the exhibition places were closed but nevertheless I really enjoyed those that were open. I went there in the morning around 10, just when the place was opening and that is why there were almost no people. I heard, however, that it gets pretty busy during the day, so if you wanna experience the art and the place itself in peace, then do the same like me and visit it in the morning. Also, make sure to stop by Bar Luce, which is just across the golden tower because the place is designed by Wes Anderson – the director of The Grand Budapest Hotel! So yeah everything inside is super cute and retro, the staff is really friendly, the coffee is great and the sweets are even better!